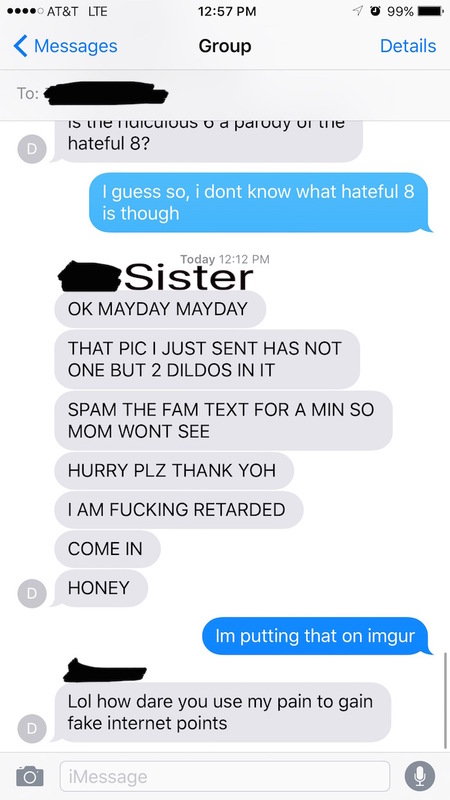 Girl accidentally sends photo with multiple dildos to her family, and her sister only makes it worse. 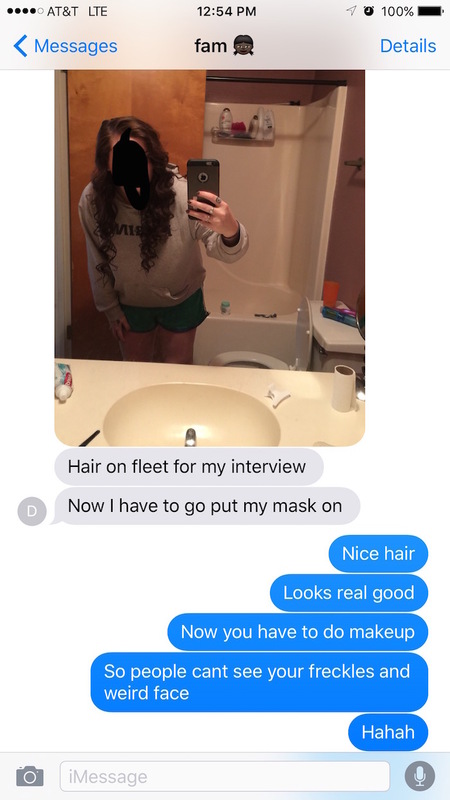 Family group chats are a great place to share important news or show off how good your hair is looking. 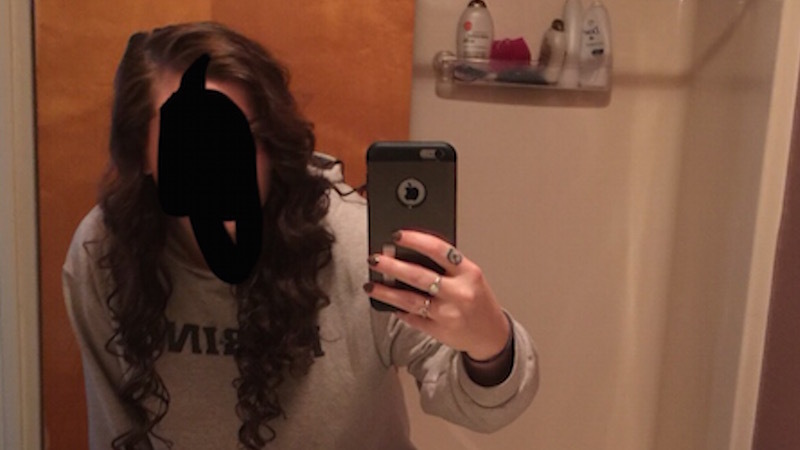 The latter is what Imgur user ohfudgemocha's sister recently did. 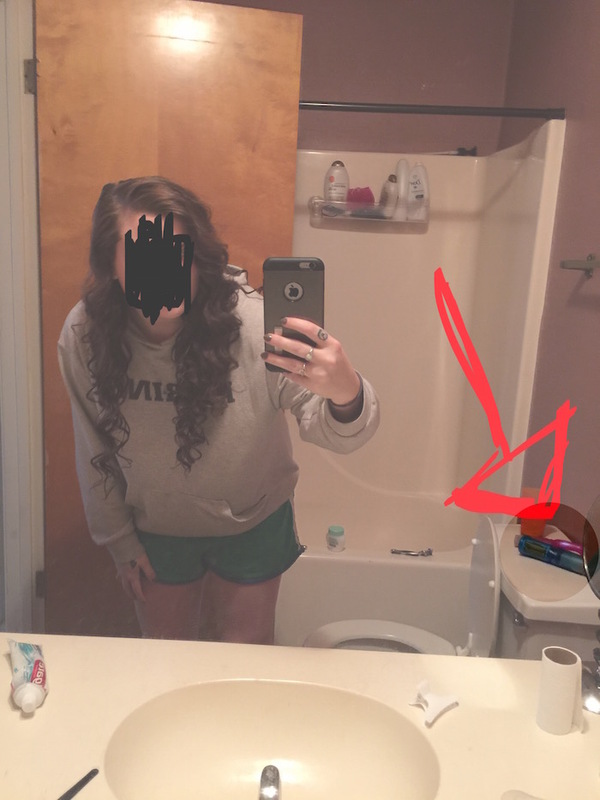 She sent a photo of herself to her two siblings and mom, but she quickly realized she should've checked the background of the photo first, because there were two dildos in it. Ohfudgemocha's sister turned to her siblings for help. In turn, ohfudgemocha decided to share the text exchange with the Internet. A sibling isn't a sibling unless they've caused massive public embarrassment.